We are surrounded by visible reminders in our daily lives: dates marked on calendars, sticky notes left for family members on the refrigerator, or comments made on an article shared by a colleague. Everywhere we look we see the tracks and signs of our thinking, our living, and the making of memories. The first love note you saved from your current life partner, your child’s first artwork, and the first job contract you ever signed . . . They all create powerful reminders of ourselves, our experiences, and our circle of family and friends. It seems instinctual for humans to make our experiences visible to others through our actions and representations. Tour a museum, find lyrics to your favorite song, or sigh and smile your way through photo albums. Just as language brings us together, we are visually driven creatures surrounded by texts and images that help us remember what we love and value. We are not quite ready to let it all live digitally hidden on a computer’s hard drive or in the cloud. How does this natural attraction to powerful visuals play out in the classroom? 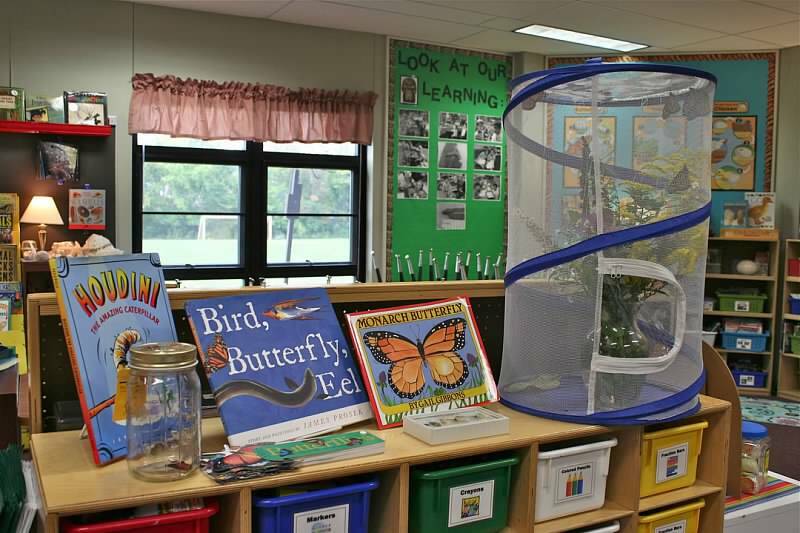 How can the use of visible reminders encourage and celebrate our learners as they explore nonfiction resources, share questions, and display their thinking? Teachers can eliminate wallpaper-like bulletin boards that kids often ignore, transforming wall space into displays of living, organic reminders that each and every day holds the promise of learning in a supportive community. The good news? Classroom displays are easy to create at the beginning of the year, and these shared displays, created and curated by students and teacher alike, encourage visual reminders of the active learning igniting and uniting a classroom throughout the year. Space is always a precious classroom commodity, but having designated areas for children to share their learning is powerful. 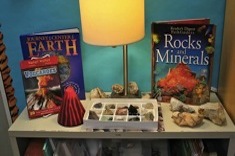 The display locations are critical because children need to have easy access to display their learning, their questions, and favored resources. 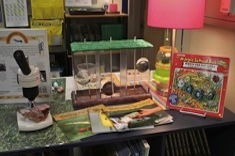 Displays serve as a simple stage for children’s excitement and interests. They can be created on a bulletin board or whiteboard; displays can live on open wall space or find space on classroom and closet doors. Any accessible space can highlight recommendations, questions, and learning resources. 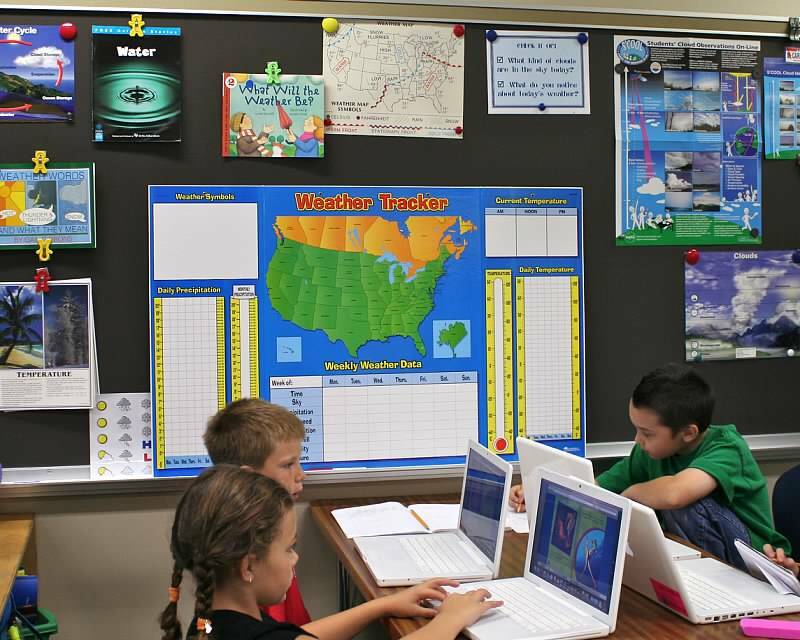 If your space is limited, you can always use portable foam boards that can be moved around the room to work with the size and configuration of your classroom. Accessibility for students and continuous sharing cycles are what matter. What is the specific purpose of your selected display? Where can this display be visible and accessible to kids? How will you define the space? Will the space have a title? borders? color? 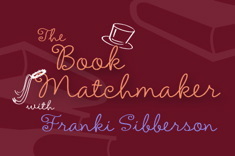 Will books be part of your displays? How will you display your collection? Do you need a bookshelf below the wall display for book collections and/or artifacts? The displays can be named to match your class’s needs and determined purposes. Over the years and depending on the ages of my students, spaces warranted different names in my classroom. The titles of displays change every year since my students create the names for the shared displays. 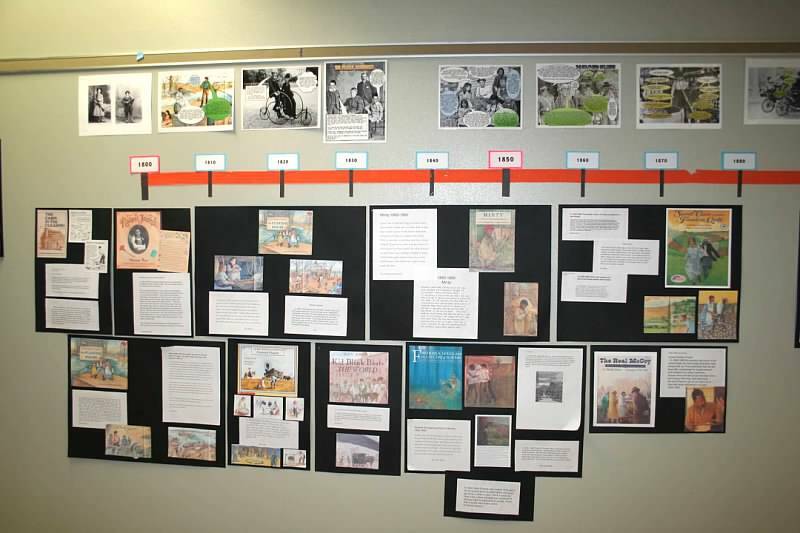 Classroom displays can unify a learning community and support students’ nonfiction reading endeavors. Building connections between kids and publicizing what students are accomplishing as readers and thinkers reinforces the belief that learning is a social process worthy of celebrations. 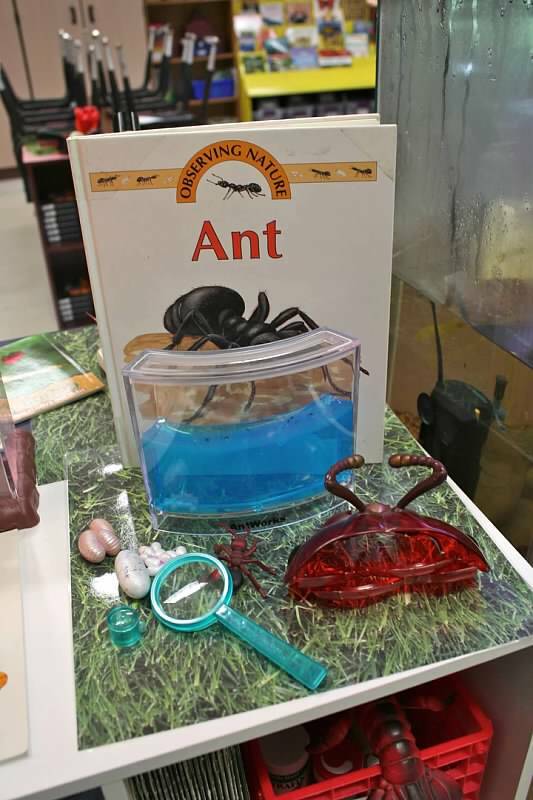 Interactive, organic displays make learning a visible life force in the classroom and give students ownership in their learning community. 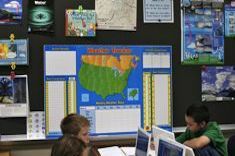 Let students create information displays. How do your students share their research and learning with others? What kind of public displays are provided for children to showcase their thinking? Teachers want children to become independent, joyous learners. Can you make time to acknowledge the excitement and purpose of students’ learning? Teachers interact with children and guide them in many ways throughout the busy day. Could you establish a routine with simple steps that allows children to be in charge of the information board? Could you release the responsibility of creating and maintaining a place that celebrates informational reading in a learning community? The physical classroom can seamlessly support the informational reading routines and rituals that anchor a community. Let the classroom help both teachers and students grow as readers and learners through these rituals, making these beliefs visible to anyone who visits the classroom. 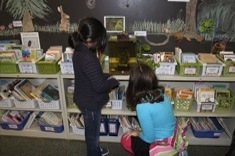 Andrea Smith uses Explore Time with her fourth graders to build interest in nonfiction. Andrea Smith gets creative in teaching literary nonfiction to her 4th graders in this video series.